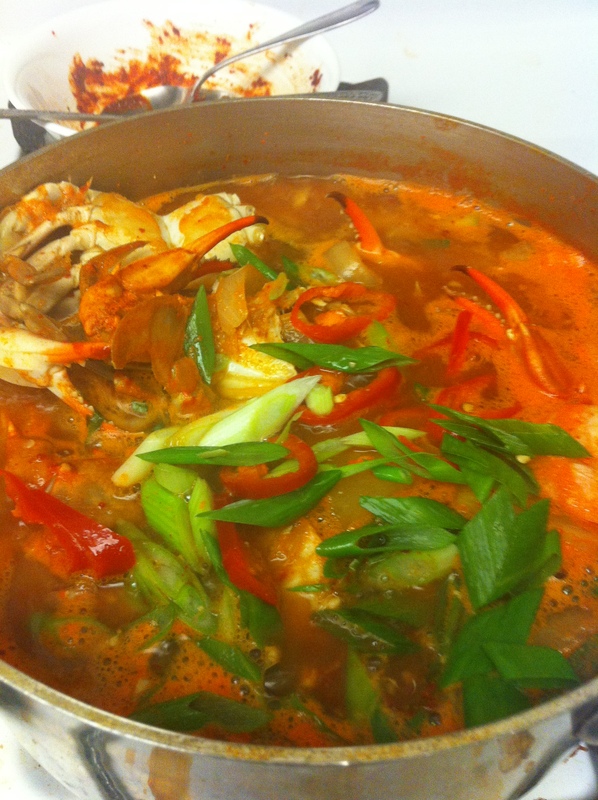 Kkotgae-tang is a spicy soup made of blue crabs and vegetables. It is a sumptuous yet a surprisingly easy dish to make. 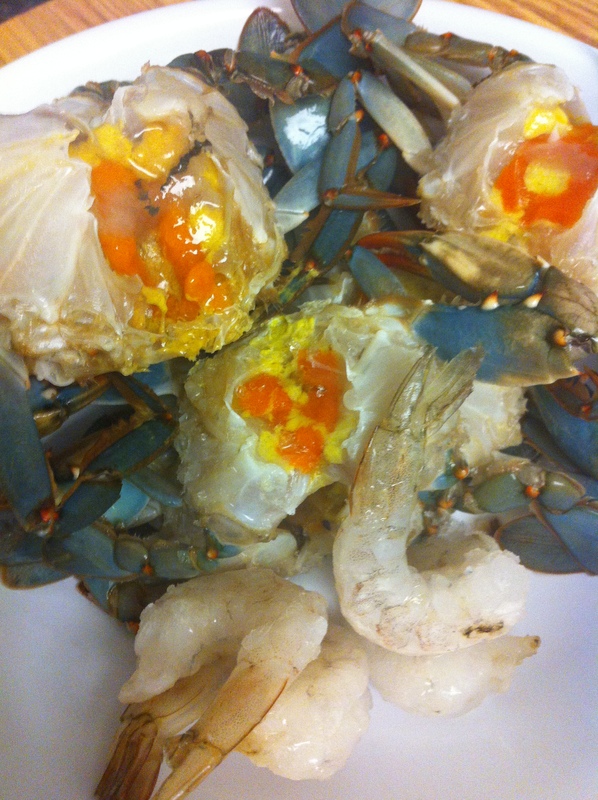 Blue crab is my favorite seafood and I happened to have found blue crabs that were already cleaned and trimmed at a Korean supermarket. 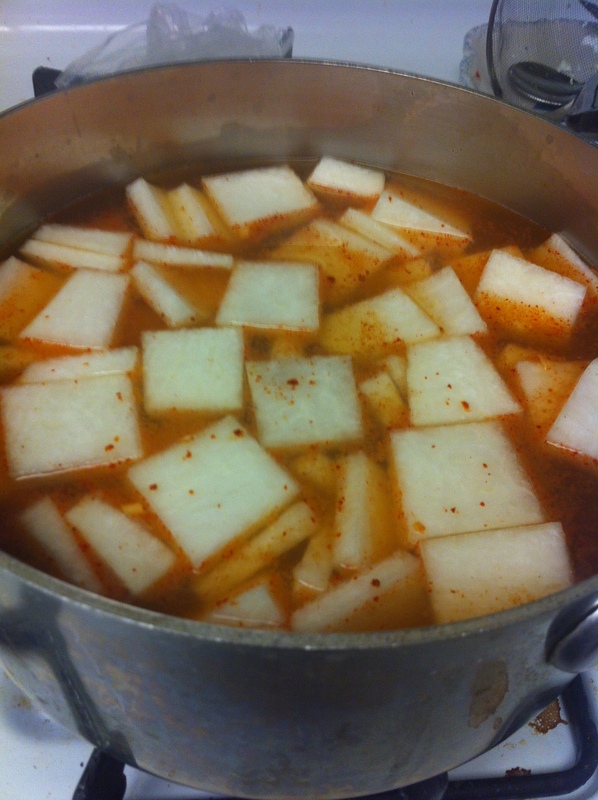 Without being able to resist them, I decided to make kkotgae-tang for my family last night. Needless to say, it was a great success, and I promise this dish will impress your family and friends as well. Combine all soup seasoning ingredients. Pour water into a large pot and mix in 2/3 of the soup seasoning. Add the moo and boil the soup base for about 10 minutes. 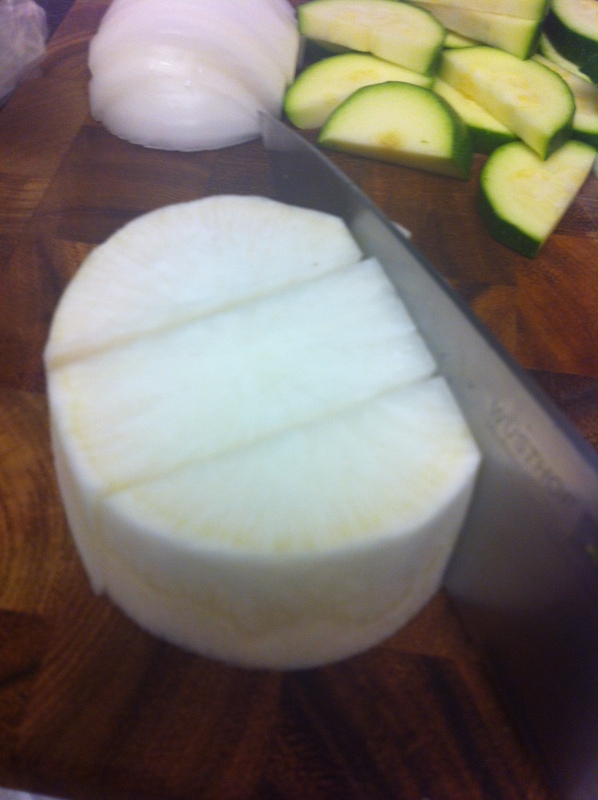 Add the onion and zucchini and boil for another 5 minutes. 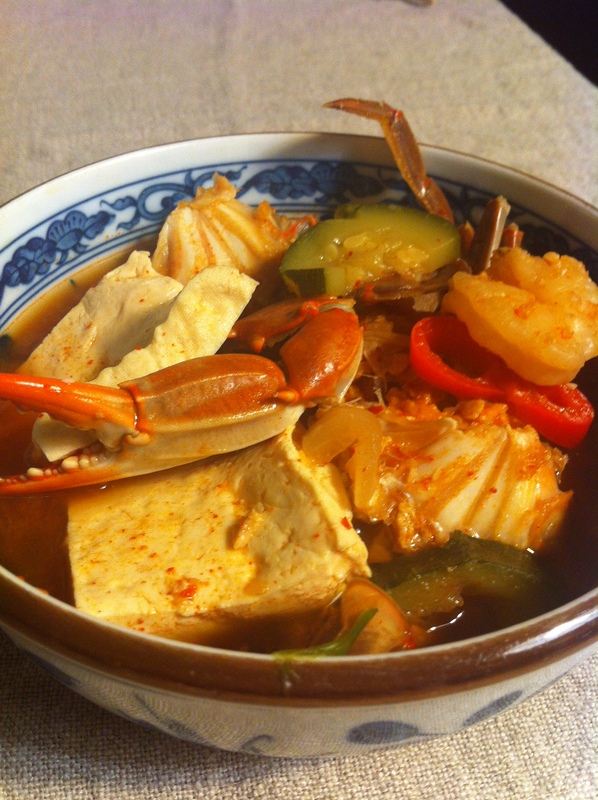 Add the blue crabs, shrimp and tofu. 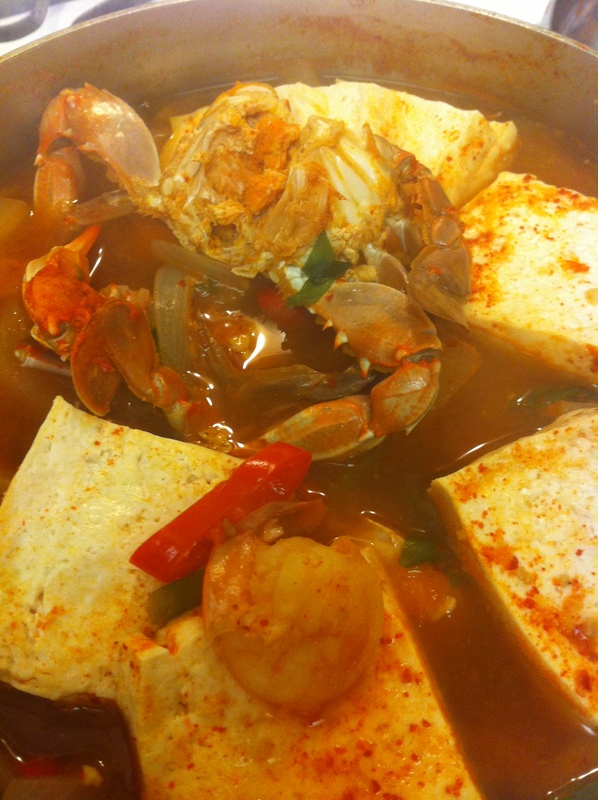 Cook until the crabs and shrimp are cooked thoroughly, about 10 minutes. Skim off foam rising from the soup. Sprinkle scallions and red peppers on top and cook for about 2 minutes. 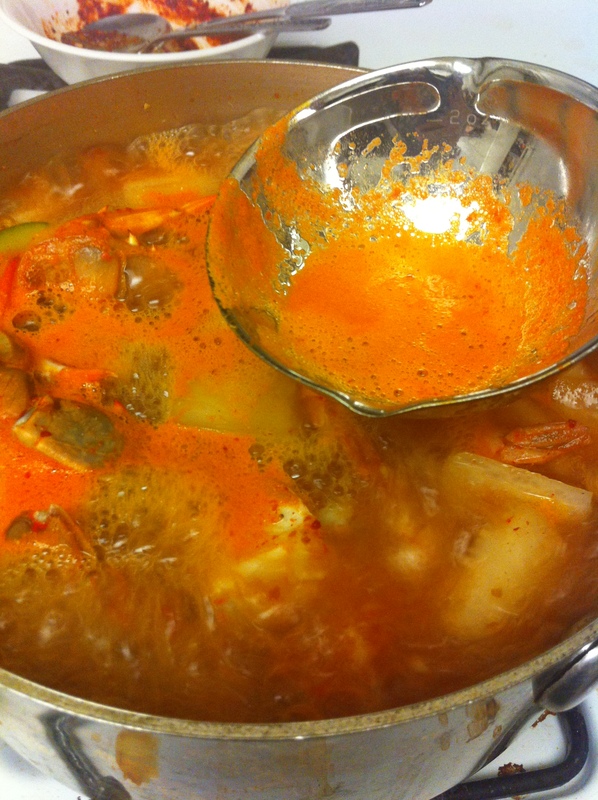 This entry was posted in Good for dinner, Seafood, Soup/Stew (국/탕/찌게) and tagged Anchovy Broth, Crabs, Myulchi Yuksoo by gangnamkitchen. Bookmark the permalink. I just want to note that the spiciness of the broth mostly depends on how spicy your gochugaru is. 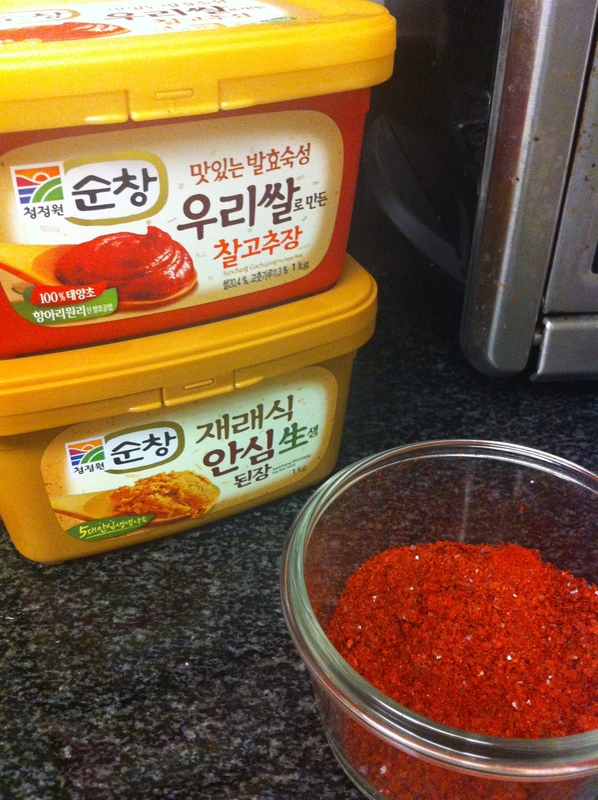 If you feel like your gochgaru is extra spicy, decrease the amount you put in the marinade. You can always add more later. 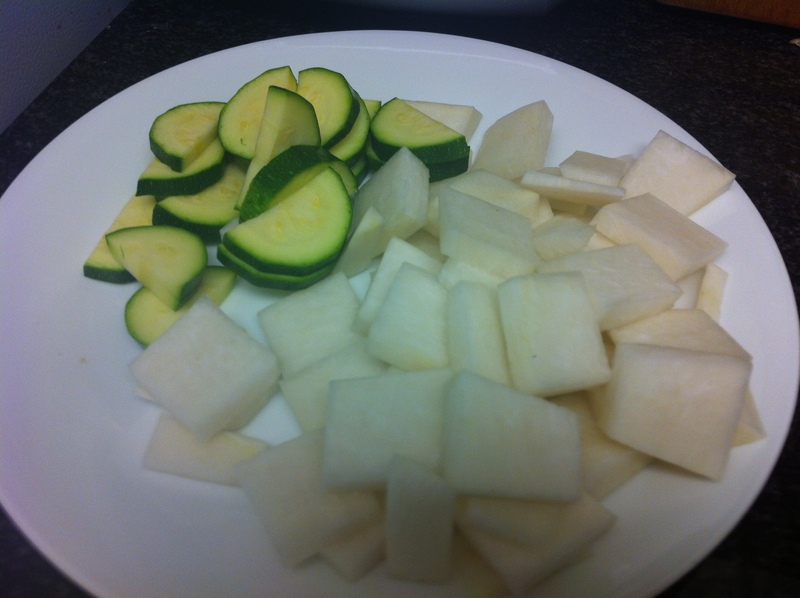 It can also be very helpful to mix the marinade, only use 2/3 of the marinade initially, taste and add more as you go. I always do this even with dishes I’ve been cooking for years. Also, using an amount of sugar or stevia (50x sweeter) is common. 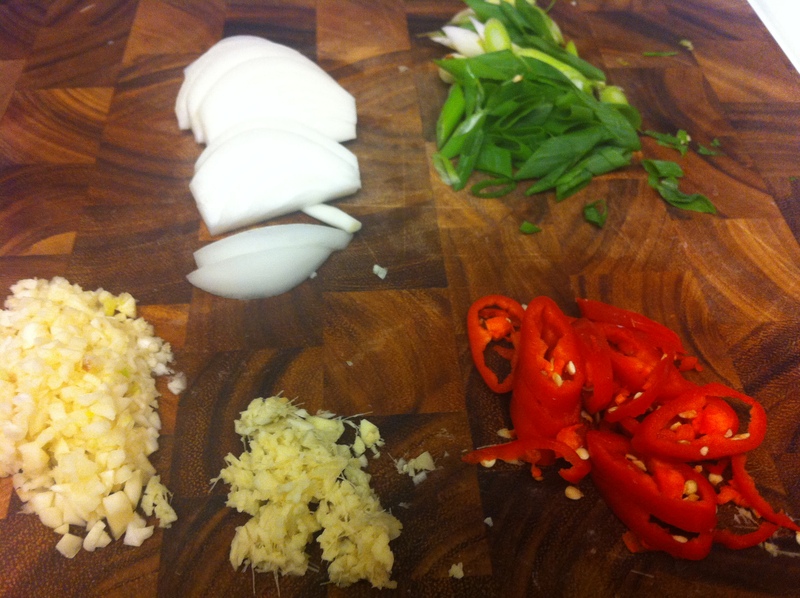 You can also dip in a green onion stalk, and remove. The broth’s taste gets a difference. The onions can be held in the boil, in a tea-strainer-like net. Most dont like chewing them.